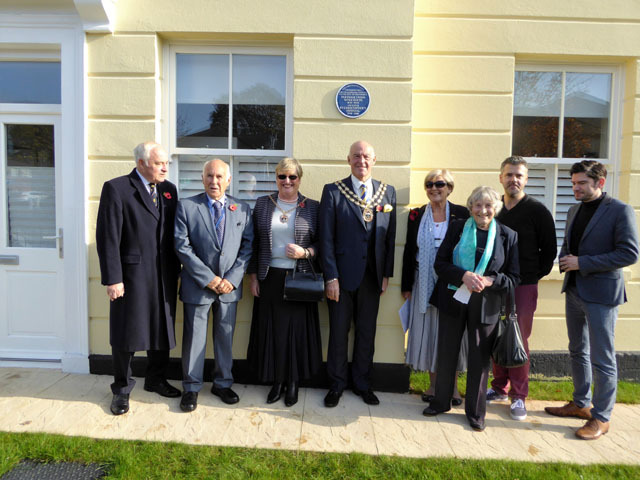 On 2nd November the Mayor of Fareham Councillor Mike Ford unveiled a blue plaque on the Former Fareham Union Workhouse on Wickham Road. 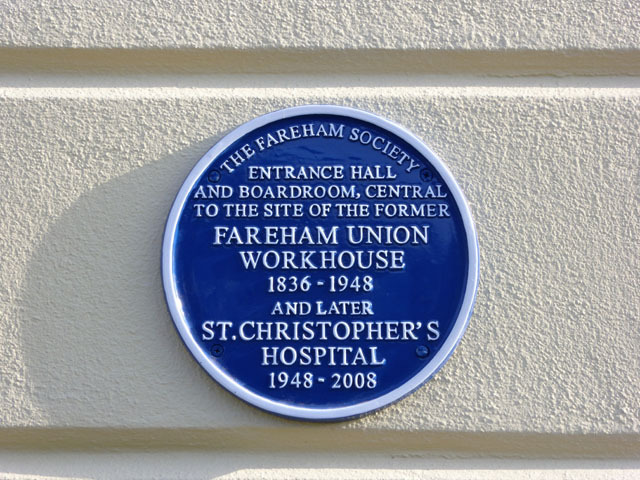 Although the workhouse, in Wickham Road, Fareham, is not a listed building, the Fareham Society wished to save the site from demolition and honour it with a blue plaque. The Fareham Society has been putting blue plaques up in Fareham for many years to remember the town’s history. When the planning application came in for the demolition of the whole workhouse site, we suggested very firmly to the Council that it should be kept. The Council’s Planning Committee and Ward Councillors were of a like mind. The building escaped demolition and is now a residential property.